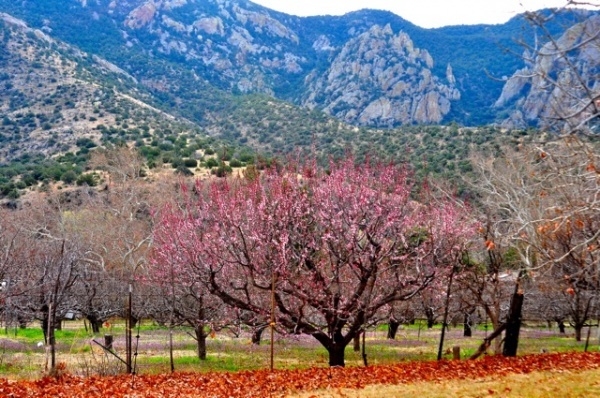 Welcome to this post of Cave Creek Ranch in Portal, Arizona. We hope you enjoy it. There is nothing we enjoy more than talking about our favorite place unless we are out hiking and exploring it! 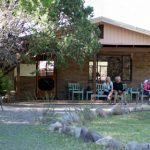 It’s been an exciting time at Cave Creek Ranch! We have an upcoming trip to the West Indies which has been filled. 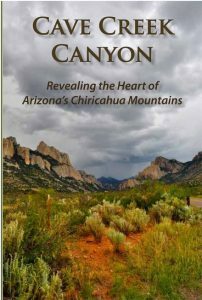 We have helped with the launching of The new book about Cave Creek Canyon – see below. We are involved with an effort to upgrade Willow Tank. We are spending a lot of time working with the Forest Service to repair 2014 flood damage. We have been very busy recovering from a flood event last September. Spring and Summer reservations are really picking up, so don’t wait. Many don’t think of coming in the Summer or Fall, but you should reconsider.Come see those crystal blue skies, breathe the clean air and listen to the quiet. The skies are incredible at night, with millions of stars. It was 74 degrees a few days ago. What is your temperature? SORRY – JUST SOLD OUT! We will have another trip next year – watch for it. 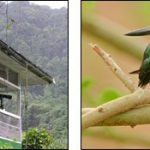 Cave Creek Ranch is excited to announce a special tour at the Asa Wright Nature Centre (AWNC) in Trinidad & Tobago! 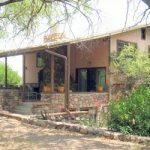 This tour is exclusively for guests and friends of Cave Creek Ranch and will be personally hosted by me (Reed Peters) and will start June 12, 2015. 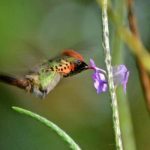 Our tour will focus on both amazing tropical birdwatching and an exchange of knowledge between AWNC and Cave Creek Ranch staff and guests. 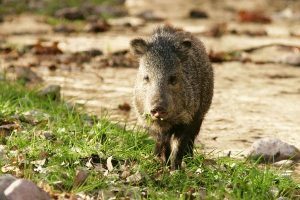 We want to share the knowledge of conservation, hospitality, and nature that we’ve developed over the years at the Ranch. 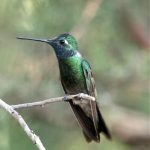 Learn more about Cave Creek Ranch’s Trinidad & Tobago by clicking here or by calling Caligo Ventures at 800.426.7781. 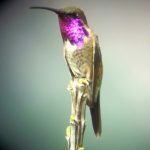 We have Hummingbirds year round at CCR. 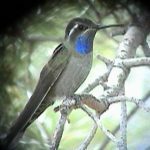 During the winter it will only be Blue-throated and Magnificent. 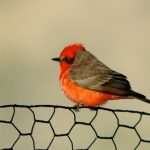 In early Spring the Broad-tailed and Rufous begin to arrive, followed by the Black-chinned and Broad-billed. The best time to see the widest variety is from late July to early September. Really! 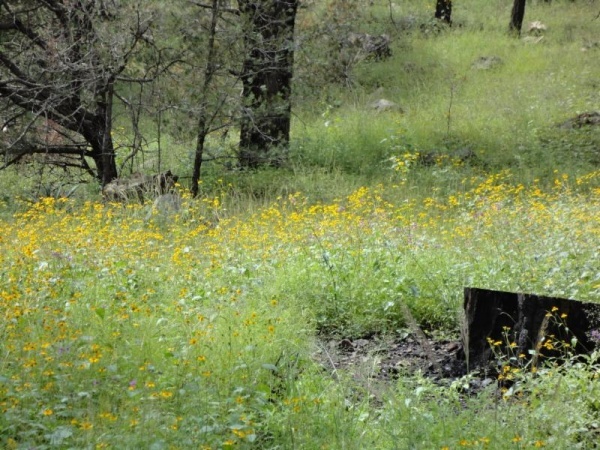 (The wildflowers are spectacular too.) Surprisingly it is not normally too hot as we are at 5000 feet elevation and we often will get afternoon rains. (Be sure and bring a sweatshirt for the evening). 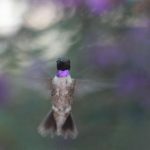 Later in the Summer is when we tend to see some of the more exotic Hummingbirds such as the White-eared, Lucifer and maybe even a Plain-capped Starthroat! 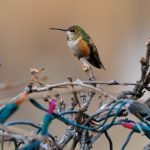 A few years ago a neighbor had 10 Hummer species in 24 hours! NOW IT’S HERE – OVER 600 COPIES GONE IN 6 WEEKS! 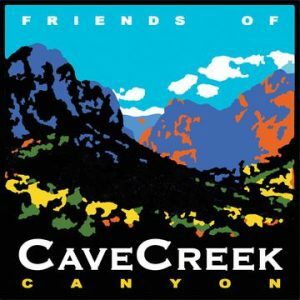 Friends of Cave Creek Canyon invites you to receive copies of our award winning monthly emails that include beautiful local pictures, education, stories and other items of local interest. Go here to see a copy of the Feb., 2015 email. To receive these emails email mike@foccc.org with your name and email address. 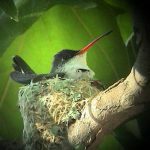 We seek to provide educational opportunities for area residents, visitors, school groups, scientific researchers and others who cherish the special qualities of our region. FOCCC is an all-volunteer organization and all donations and membership fees received are used to advance the mission of FOCCC. There are over 100 family and 10 business members. 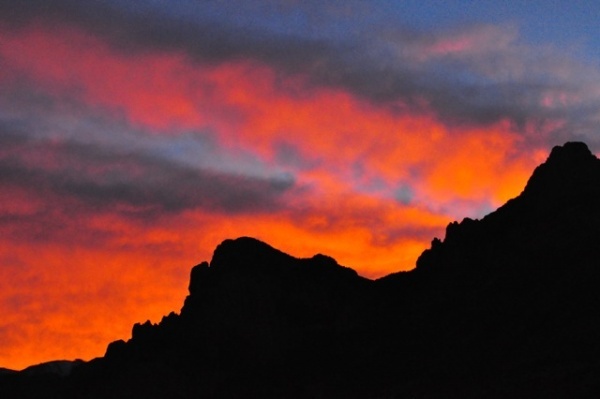 If you are interested in joining Friends of Cave Creek Canyon go here.